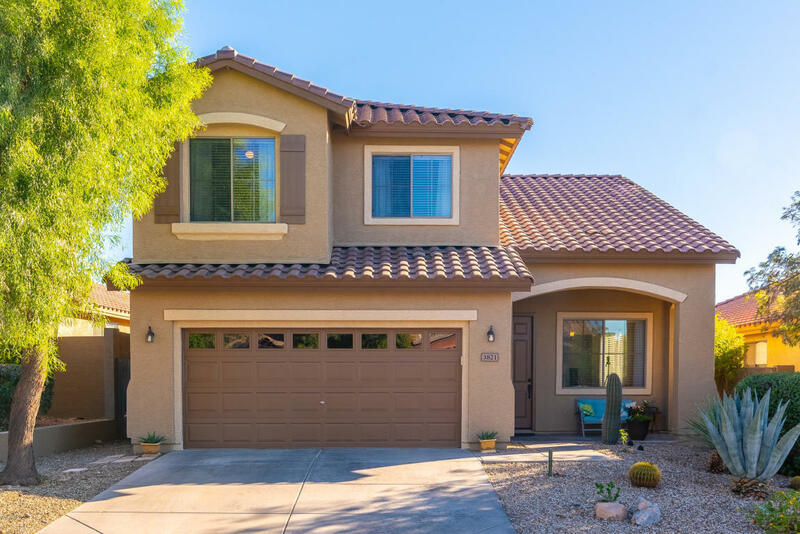 Gorgeous 5 bed, 3 bath home with pool & spa in Anthem! Featuring New Carpet, New Exterior & Interior Paint, New Plumbing fixtures, desert landscaping, 2 car garage, great room, family room! The Elegant kitchen has white cabinets and ample counter space, w/matching appliances, new sink, a pantry, & breakfast bar. Inside the gorgeous master bedroom you will find a private entry, Arcadia door to pool area, a full bath with his and her sinks, and a spacious walk-in closet. The beautiful backyard includes a covered patio, travertine stone, a sparkling blue pool, and a refreshing spa! Also located in a wonderful community with a clubhouse, fitness center, another pool, tennis court, and much more, this home has it all!! Don't miss this one!